Finding toys for your one year old is a daunting task. Their personality is just blooming and you don’t quite know what their likes and dislikes; although clearly from their tantrums, they HAVE opinions. With two children in tow and speaking to a lot of moms, here are my favorite toys. They are non battery operated (except for the piano) and foster creativity, innovation and independent play. Cheer’s to baby’s first birthday and hoping they love these gifts! Nothing beats pounding the daylights out of something. And you know your young toddler will go nuts for beating something – legitimately! Several brands make push carts and strollers. Pick the one that fits your budget. 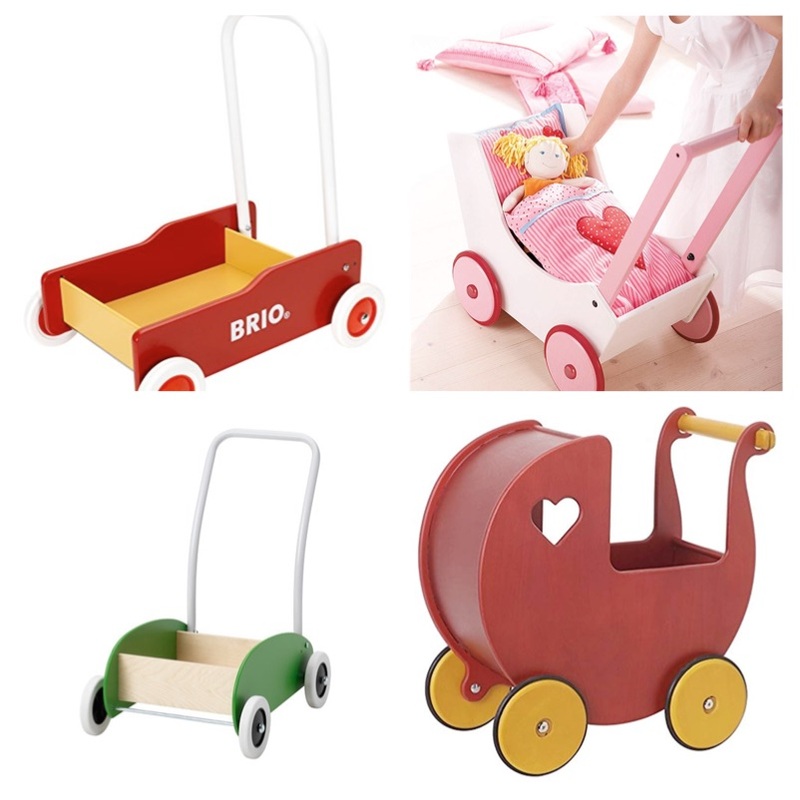 On the easy wallet side, there is IKEA (though the cart itself is small) and Brio. For wood based strollers/prams, there is Moover ($177) and HABA ($149), both on the more expensive side. You should also stop a Home Goods store and see what is in store in the toy section. I found several wooden push carts/prams for under $50; what a steal! If you have space for a small Yamama type keyboard, go for it. We have the Fisher Price Baby Grand Piano – it is absolutely silly but a LOT of fun. The music it plays isn’t annoying and you can flip the switch to play pre-recorded music or music notes. For something a bit more mature and more minimalist, the Melissa and Doug 25 key set is nice. There, I said it. Find the tupperware or yogurt containers that you don’t want anymore and create a space in YOUR kitchen for them. This is the key, you need to sacrifice a cupboard to your toddler. They feel they get to be part of the kitchen while you get to interact with them. It’s a win win. I store unloved tupperware, a few old pans and spatulas we don’t use anymore in our shelf space. Again, it doesn’t take much to entertain a young toddler. They are on their feet for the *first time ever* and using those feet mean exploring! We have several dressers in the house (ALWAYS bolt them to the wall) and we keep two drawers available for the little one. Each drawer is in a dresser in a different room. This provides ample opportunity to move things from drawer to another, while working on gross and fine motor skills (opening, closing, picking up, walking, placing/throwing items). I think my baby spent three months walking back and forth between the rooms just opening and closing the drawers. Be sure to keep an eye for safety reasons (climbing in) and for when your phone disappears (true story). This unassuming rainbow wood stacking blocks is magical. At first, we didn’t know what to do with it. Soon, we figured out how to stack them, mix them with other toys, and create art pieces. Made in Germany of solid wood, this is a present that will last years. This teaches a baby about object permanence. Your little one is well on the way of understanding object permanence, this coin box helps reinforce that idea. If you want to be very budget friendly, grab a shoe box, cut a hole and use a few blocks. Baby will go nuts! 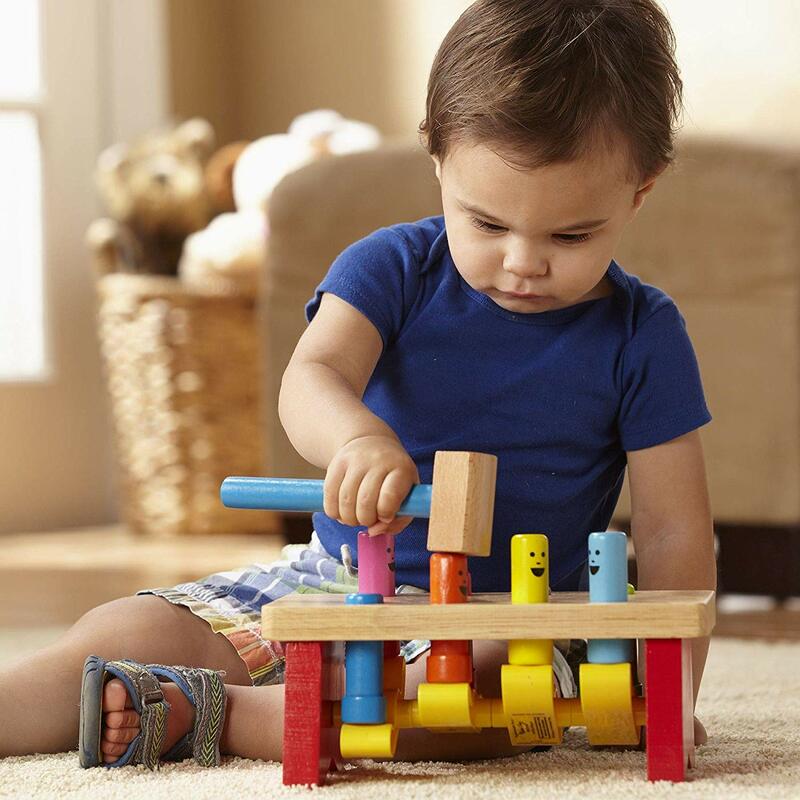 If you are feeling inspired by Montessori education, check out my post on Montessori toys for 0-4 years old. Dropping a ball and watching it go down tracks doesn’t sound like the most exciting thing, unless you are a baby, then it is THE MOST EXCITING THING EVER. When looking for ball runs, make sure you find one that is age appropriate for age 1+. Most ball runs are in fact marble runs, and they are not safe for babies. My favorite ball runs that are for one year and up (but please double check before buying) are the Hape Derby Track, HABA build your ball run, Battat – Pound & Roll tower, and the Hape Switchback Racer (age: 18 months+). 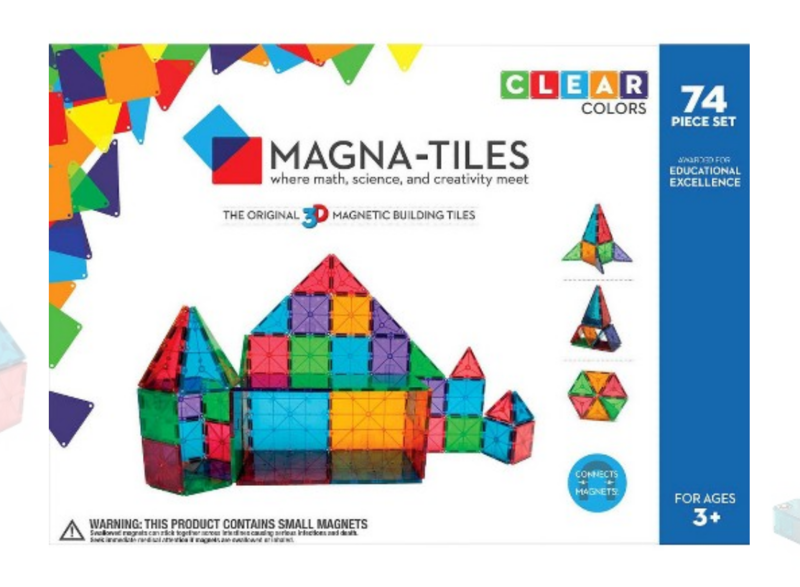 On the pricey side, magna tiles are awesome. Build in three dimension with triangles, rectangles, square, and trapezoids. 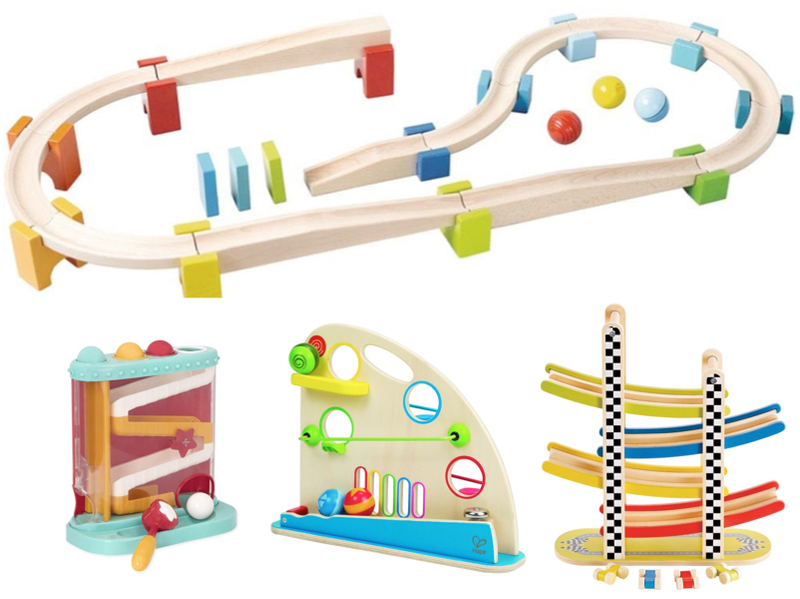 A classic STEM/STEAM toy, your toddler, and their friends, will love these. For a budget friendly version, you can buy the off-brand tiles. Large and easy for small hands, the Melissa and Doug knob puzzles are a great way to get your little one started on the world of puzzles. Teach them about matching, animals, and shapes. My kids got into them around 15 months even though they were introduced them at 10 months, it was mostly throwing at that age. Any book that has flaps or lift up features will be a hit. Something about them enthralls young toddlers. Matthew Van Fleet books are always a hit, Moo, Dog, Cat, and Fuzzy Yellow Ducklings (so loved by my children it is in pieces, hehehe!) are just a few of his most popular. 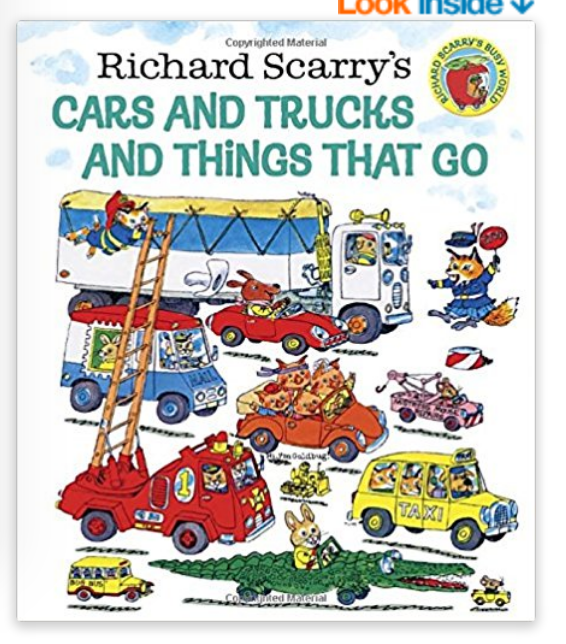 Cars and Trucks, from A-Z. I will keep updating this list as time goes. For now, I hope you enjoy! If you have a favorite toy (rather your baby does), post below.